The Islamic Revolution Guards Corps (IRGC) ground troops on Tuesday destroyed an armed gang affiliated with anti-revolutionary and terrorist groups, killing all its 12 members in an armed encounter in the western province of Kermanshah, a top commander announced. 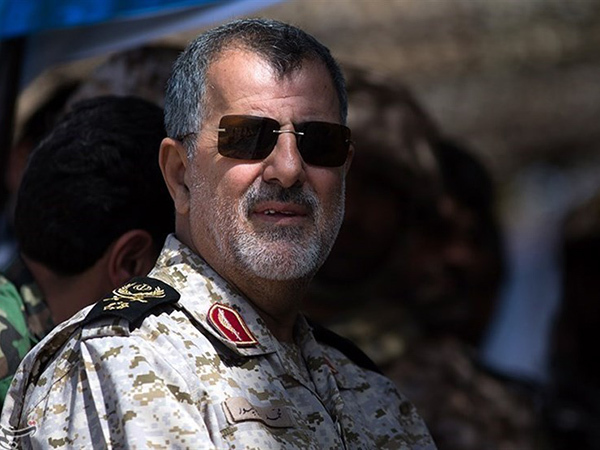 According to Commander of the IRGC Ground Force Brigadier General Mohammad Pakpour, the team of outlaws, affiliated with the anti-revolutionary and terrorist groups that receive support from the US and the Zionist regime of Israel, had plans to sneak into Iran’s territory to cause insecurity. Forces from the IRGC’s Najaf Base, in cooperation with local residents, could detect the hostile plot in time and confront them in a border area in Kermanshah Province, the commander added, saying the terrorists were all killed in a fierce clash with the security forces. Brigadier General Pakpour added that 3 IRGC forces were wounded in the operation, and that a significant amount of weapons and ammunition were seized from the terrorists.